Ever gazed longingly at the newest, hottest hair trends and wondered how it would look on you? If so you’re not alone. But though it looks good on the Hollywood stars doesn’t mean it will look great on you. How can you be sure it’s really for you? These tips will help you decide. What shape is your head? Not all hairstyles work on all shapes. There are four main shapes; round, oval, square and heart-shaped. Not sure? There’s an easy way to find out. Pull your hair back from your face and secure it, trace the outline of your face right on the bathroom mirror with lipstick. When you step back, you’ll see what shape your face is. • A short bob will make a round face look even rounder, if your heart is set on a bob you may want to consider dropping it below your chin line. Doing this will create angles near your face and downplay its round nature. • If you have a long or high forehead that you can’t stand, bangs may be the answer to your problem. They can be brushed off to one side, or frame your eyes nicely. As an added bonus, bangs will cover those pesky, deep-set wrinkles on your forehead. A word of caution; DON’T CUT THEM YOURSELF! • Those with a more square shape to their face should opt for shoulder length or longer, but with layers cut in around the face. Hair all the same length with a square face will elongate an already long face. Layers will visually break the long line and add interest. • Oval and heart-shaped faces can pretty much pull off any hairstyle, as long as the other factors are considered. The texture of your hair is as equally important. Coarse, fine, curly, straight; what kind do you have? It will be hard, if not impossible to get hair full of body and curl if you have thin, fine hair. Conversely it will be difficult to get super sleek straight hair if you have a head of thick curly hair. There are chemical processes that can change the texture of your hair, but those chemicals may be damaging in the long run. Talk to your knowledgeable hair styling professionals to check if that’s the route for you. 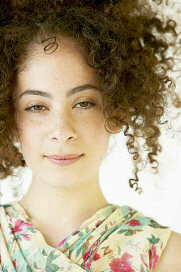 • Unless you are going for an afro, be wary of super short hair if you have curly hair. Relieved of the weight of its length, curly hair will compact and be very springy. • With super fine hair, adding layers will create the volume that you lack. • Wavy hair may become curly if it is cut above shoulder length. Don’t be afraid to try something new. The worst thing that will happen is you don’t like it. The most important thing to remember is, no matter what, it will grow back. Brianne Mayner holds a B.A in Literature and currently writes for AccessRx.com, an online facilitator for Viagra online and other safe FDA-approved medications such as Cialis. Brianne uses her research scientist skills to cover and uncover big pharma news she shares on the AccessRx Blog.